Bicycle + Water = ? Bicycle is the world’s most efficient transport device. However, if we consider with another point of view, the bicycle is a cheap, easy and sustainable power supply for myriad products. Here, I am presenting two practical, creative and innovative ways that bicycle can be used related to water mainly in the developing countries. One billion people in the world don’t have access in clean water. Waterborne disease is a leading killer of children under age five worldwide. Often water sources are distant and people must spend hours and effort just to meet the basic needs of their families by walking for more than 3 miles. Travelling this distance, they may use motors or trucks consuming fuels and polluting the air. Moreover, this water is usually polluted and they must boil it in order to clean it. Finally, another problem is the water storage areas. Mainly they use open containers, which are prone to contamination. The solution is the combination the world most efficient transportation device with a water filter. Two example of this kind of vehicle are the Aquaduct and the Cyclo Clean (Nippon Basic Co). They are pedal powered vehicles that transport, filter, and store water for the developing world. This tricycle vehicle provides enough water for an entire family by also cleaning it in one trip. It can filter three tons of water in 10 hours. The mobile filtration vehicle consists of two storage tanks (the large tank and the clean tank), a filter, a peristaltic tank and a clutch. Firstly, the large tank is filled with water from the water source. As the rider pedals the peristaltic pump attached to the pedal crank draws water from a large tank, through a filter, to a smaller clean tank. Then the clean tank is removed and the clean water is stored their. A clutch engages and disengages the drive belt from the pedal crank, enabling the rider to filter the water while traveling or while stationary if more water is needed. In this way people in developing countries can have daily access in clean water. In the developing world, washing laundry is a difficult, time-consuming task that falls solely on women. Sometimes electricity is unreliable or unavailable and water must be carried by hand, so conventional modern washing machines are not an option. So, mothers and daughters typically spend 8 hours each week scrubbing each piece of their family’s clothing and wringing out the harsh washing solution by hand. Moreover, doing laundry in open streams or lakes can add to water pollution, so the availability of a human-powered washing machine could make a big difference to the quality of life. The invention is the Bicilavadora from students of the MIT University is a low cost, pedal-powered washing machine that is designed around readily available parts. Its innovation is its simple design and its use of inexpensive plastic barrels and bicycle components. The Bicilavadora is reliable, easy to operate and uses no electricity. The parts are available locally, so Bicilavadoras can be manufactured and repaired in the community without depending on imported goods. This week my contract with my energy (and gas) supplier ended and I could look for a new (cheaper) one. I have to admit that my first thought wasn't to find the most sustainable one, rather a cheaper one. But when I was comparing the energy suppliers on the website www.energieleveranciers.nl it gave me the option to search for 100% green energy. So I did. But then I wondered, how can I just get that easy 100% green power while at the moment in The Netherlands only 4,5% of the energy is produced green (natural, inexhaustible sources). And if I can make this contract, than all the other households in The Netherlands can do the same, so how is it possible to claim that the energy I get is 100% green. In 2011 more than 55% of the Dutch households take green power. It turns out that the Dutch energy companies buy green energy from other countries (Sweden, Denmark, Finland and mainly Norway). Not real power, but certificates. The goal was to create a market in The Netherlands to produce green energy, but it created a market in trading certificates. What happens is that green power from Norway is sold to their inhabitants and that the receipts are again sold to The Netherlands. We should no longer be fooled by the energy supplier companies. How? Think big and start small as Gertjan de Werk from D-exto would say. And what did I do? I chose for Greenchoice, they claim that they have 100% green energy, 70% from Dutch ground and 30% with certificates. I don’t know if I can believe this information, since in the banner on their website I see two happy young people with the logo of Greenchoice near a water pump station. Since when does a water pump station produce energy? To conclude, I have since 28 november a new contract with Greenchoice but still have doubts on the way energy suppliers sell green energy and that we/I let us so easy to be fooled. I wonder why. Do you know the feeling of looking at pictures of food you already smell it and really want to taste it. You get immediately hungry. I know that feeling very well! My group mates and I are looking for a more sustainable way of food production and consumption on Texel. We are investigating which food is common on the island right now and which kind of food would be the best for Texel. We are looking at traditional Texel food and how to bring this kind of food back to the market. They have so many delicious good looking traditional Texel food. For instants the Texel beers. Not just a normal beer, but 10 special beers. Maybe served with some toast with sheep cheese from a traditional Texel sheep’s. Sounds delicious right? And that's not all. There are also different kind of “new” saline vegetables growing on Texel. Like the saline rucola or the sea beet. I’m getting hungry right know by writing about it! And you haven’t seen the pictures yet. We have seen it all. It looks delicious. They even have several biking routes to taste al the Texel delicacy. I want to go on such a tour and taste it all! Or just buy it here in Delft, so we won’t get hungry during our meetings any more. But then it won’t be local anymore. It will first have to be transported and there will be more emissions. It will also lose its local character. Would it still be sustainable? And are these delicacies are produced sustainably anyway? How can we find out which of these delicious products are sustainable and which are not? Should we choose something that is sustainable? Or something that just looks good? Or is there something in between? I think that is one of the common questions in sustainability. My group mates and I need to look for this need to find the compromise. Traditional or delicious real Texel food that also can be produced in a sustainable way. I think we have to wait for our Texel beer and Toast with sheep cheese until we are arrived on Texel. Maybe we can do a bike tour with whole the group and taste everything! For now we will just buy some Delft delicacy. Work hard ride fast! This credo is owned by one of my colleagues, Rembrandt Kruijt. What we may share: addicted to endurance sports, enthusiast bike commuter, accused of being workaholic. There may be all kind of clarifications for relaxations by exertion. Whatever it is, we’re full of beans if fascinated by something and considered something really important. That’s what is needed with regard to the sustainability transition. Full of admiration for her and other sustainability guru’s, I agree with Marjan Minnesma, that it is more than time for action. Her story is every time again positive about the negative. The message is that it is too late for resilience, to save the world for the next generation. But whatever happens, world order has to change any way and people are in charge. Transitions happen by people. Moreover, it’s fun, it’s hard work, and it will take some time …. Get cracking! Let’s cooperate for sustainability! A couple of days ago a friend shared an article on facebook that caught my eye. The article is written by a girl in NYC who lives a so-called “zero-waste life”. She produces no trash. This is a picture of her trash bin. Pretty unbelievable. The girl, Lauren Singer, started living this way a couple of years ago when she was an Environmental Studies major in college. She felt that she was a hypocrite, not living as she learned. On her blog she tells about how it’s possible to produce so little trash. She makes her own toothpaste, makes her own beauty products, buys her food in bulk, packs everything in mason jars, only buys second-hand clothing, etc. I got really intrigued with her way of living and coping with different situations. Some situations just seem so…impossible. If go through all the activities that happen during an ordinary day (wake up, shower, have breakfast, study, have dinner, evening activity, night-time snack, go to sleep) and think about how much trash each of these activities is producing, I feel it would be impossible to produce nothing. But it isn’t! The mind just needs to be reset. The brain needs to be rewired. It is possible to perform all these every-day activities without producing trash. Of course it is. Reading about these kind of eccentric people who take it one step further always excite me. Yes, it is super-inconvenient and almost impossible for some people to live this way. You need access to bulk stores (still uncommon in Europe), beauty product ingredients, etc. Living in a small town can really complicate things. I can also very much understand the price-issue; biodegradable, compostable and locally produced products are usually so much more expensive that not all people are able to choose them, even though they might like to. Besides that, it is exciting to have a role model to look up to and be inspired by. This is exactly the kind of thing that Gertjan de werk talked about in the lecture this week. Sustainability needs to be FUN and COOL. This girl is right now the coolest person I know, and she seems to be having loads of fun. I also want to be sustainable and cool, just like her. Although I probably won’t start making my own toothpaste anytime soon, I carry my Klean Kanteen everyday, spreading the gospel about the benefits of having a stainless steel bottle. And maybe, next year, I’ll be buying reusable cotton pads. One step at a time. This week it was my group’s turn to do the literature review. I did the review on the Dutch report about a self-sustaining energy plan for Texel in 2030. The report concluded that a fully self-sustaining energy system on Texel is not feasible in 2030 with the current state of technology unless 2/3 of the energy needs would be generated by windmills. I think this conclusion is a bit short-sighted because the research does not really talk about reducing energy demands and intelligent energy solutions on a smaller scale. Nevertheless, the report provides some useful figures related to the energy use and demand of the island specified in different sectors, but above all it gives comprehensive data in how feasible different renewable energy production techniques really are in practice. Although the report is written in Dutch language, it can be very useful to every subsystem that relates to energy. A must read for the Dutch students among us I would suggest. But let’s go back to this conclusion. This and some other facts in the report made me reflect on our own research. I know we are not aiming for just technical solutions, and the “socio-part” (referring to topic of week 1) of the design solution will be the real challenge in this case, but we still need a firm technical foundation. After having a closer look on the subsystems I began to wonder in which subsystem the built environment is addressed. Because of my background in building technology I know that in the last few years a lot has been achieved in terms of reducing energy demands and intelligent small scale energy solutions. I think these can play a big role in at least the energy-part of our design solution, especially because the report states that a self-sustaining energy system is not feasible unless large scale windmill facilities would be used, while it neglects the developments I just mentioned. In my opinion these innovations can really contribute to a more feasible design and should be looked after. In my next column I will try to give some examples of how different subsystems could be related to the built environment to illustrate its potential for our final design. Besides some “gaps” in the technical part of the research, the report also made me wonder about other non-physical topics related to the research and the design outcome. Splitting up the research in different subsystems towards a socio-technical system might work well as long as the subsystems cover everything. Let’s assume that our design will be technically feasible and finds a good balance between social and technical solutions or even combines them. That would be great, but it tells us nothing about financial and political feasibility nor about the timespan and phasing in which the design can be realised. A holistic design solution for Texel, also has to address these topics. This again made me wonder to which extend a feasible design solution is going to be a physical entity like the designs I make in my architectural projects. A crucial part of the physical design solution is the process it takes to realise it, so this should also be part of the research we do and the final design we present. This could be everything from business models to governmental policies and so on. This week I was in Amsterdam for IDFA and while crossing the IJ river I was startled by the look of the A’DAM tower. As I remembered it, it was covered in large billboards with colourfull quotes. Now it was almost entirely stripped, even the viewpoint was removed. Only a part of the former façade which belonged to the Shell tower was still visible, with its blinded glass reflecting the sun. This made me think of the history of the building and what is going to happen with it now. During the construction of the original building in 1966, the concrete floor was of poor quality and it had to be blown up with dynamite in order to pour the new floor. In 1971 the tower was finished and 36 years later they decided to leave the building. After a period of vacancy the building will now house a nightclub, hotel, office space, parking and much more. The former structure is reused and the façade is redesigned in style of the Shell tower. The selection of the architects Claus & Kaan for the new design was based on several criteria. Firstly the façade of the building needed to be thoroughly renovated in order to improve the insulating capacity, reduce the energy use and the application of sustainable materials suchs as FSC wood, and recycled materials. Secondly, peak interior temperatures need to be prevented by optimizing the use of heat and cold storage. Thirdly, the municipality proposes to incorporate the generation of sustainable energy in the renovation of the roof and façade. Finally, they aim to reduce the amount of traditional parking places and ask for a vision on electrical transportation applications. These criteria are being monitored by the municipality before, during and after construction. Making sure the Toren Overhoeks will set an example for further sustainable development in renovation in the city of Amsterdam, where traditional rules and regulations often form great obstacles towards climate neutral redesign.
. "Toren Overhoeks." Retrieved 26 november 2014, from http://nl.wikipedia.org/wiki/Toren_Overhoeks. Noordwaarts, P. (2012). Overhoeks Bouwenvelop. Amsterdam, Gemeente Amsterdam. The first aspects that come to our mind when it is about sustainability are the renewable sources of energy. The biomass, the wind, the sun and the waves are some excellent examples of sustainable strategies. Their sustainability is defined by their reliance upon infinitely available resources that are naturally occurring, and thus we have constant and free access to them. These factors mean that these resources will be indefinitely accessible by humans, which makes them ‘sustainable resources’. However, for everyday people, that are not familiar with the term of sustainability, sustainability doesn't refer to scientific terms but it is reflected through their activities; such as recycling, re-using, buying only the products that are needed and using them wisely, etc. These are only a few actions that one can do in order to contribute in the well-being of the future generations. In the same time, sustainable development needs to take economic and social parameters into account in order to be feasible. If the programs planed and the actions that have to be taken are expensive or don’t reflect the societal behavior, then there is a serious risk of failure. The people need to endorse all these efforts and embrace such behaviors for a better future. As you can see, going green is a complex process, but it consists of simple actions; thus one step at a time needs to be taken while replacing current methods and products with green ones. This weekend I was present at the lecture of the professor Arjan van Timmeren, where he mentioned the topic that seems very interesting to me. According to him, nowadays we don’t experience any problems with energy gains, but the more major problem is energy storage. Energy exists in many forms, however I would like to focus on the electricity storage systems, because this type of energy has to be used immediately or converted in other forms of energy to be able to store it. Probably the easiest known way to store electricity is battery. During past few years many new developments of renewable and more efficient batteries were made, however I would like to write about the innovative, and, in my opinion, very sustainable and simple idea of using batteries in the cars to store energy- V2G. This concept is not new. It was developed in 1997 by Willett Kempton and Steve Letendre (1). V2G is the abbreviation for the system that is called vehicle to grid. This system describes a system in which plug-in electric vechicles, such as electric cars (BEVs) and plug-in hybrids (PHEVs), communicate with the power grid to sell demand response services by either delivering electricity into the grid or by throttling their charging rate (2). In other words, the electric cars that become more and more popular and which are probably the future of car industry can be used as additional energy storage batteries. Imagine, if all the cars that run on oil based fuel are substituted by electric cars- this could become really extra-large energy storage! Moreover, V2G system might become a win-win situation, because possibility of using a car as an energy storage can increase electric car sales (3). Of course, despite many advantages of this idea, some experts express healthy skepticism about V2G system. Battery charging, its lifetime, returning energy to the grid and then taking it from the grid results in some loses, which makes the pumped-storage hydroelectricity system, for example, more effective. What was my message for this week? Sometimes there are simple solutions or approaches towards the problem. In my opinion, V2G is a good example of such a solution for energy storage. It is clear, that it requires more research and technological innovations, but it will develop together with the electric cars industry. That is why I think that this is a perfect example of how we can sometimes use what we have to solve the problems. A few months ago I read about Belgian plans to construct an energy island in front of their coastline. In the Netherlands, these kind of plans have been circulating already for decades, starting with Plan Lievense (Westra, 2007), which aspired the deployment of the Markermeer as an energy reservoir. Since the Dutch have been avantgarde in the field of water management for centuries, it strikes me that our beloved neighbours have outpaced us in 'our' field of expertise and even worse, they have outpaced us in ambition. Who could have seen that coming? To be clear, I am from the nation that holds world’s oldest dike (almost 2000 year old) which can be found in Friesland. This is the nation that initiated the first official water board by Count Willem II of Holland in 1255 whereof some say, it was one of world’s first official democratic bodies. 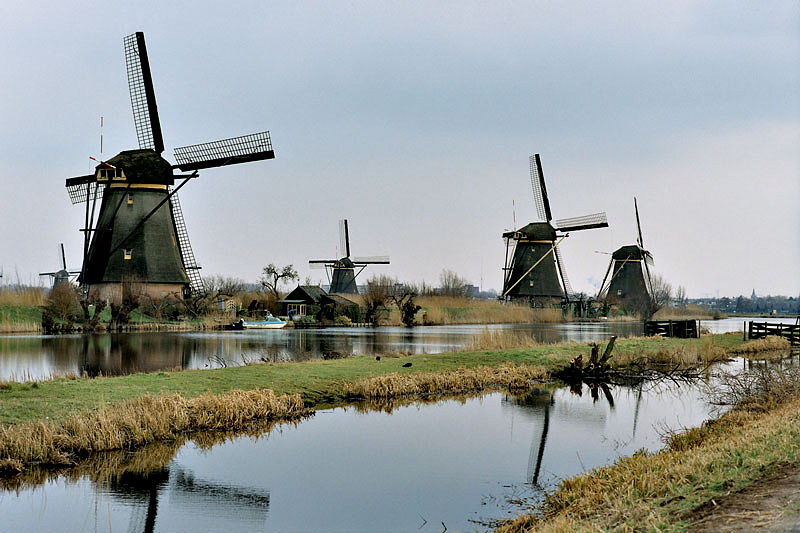 The nation that in the year 1400 started to use windmills to pump water out of ‘under sea level areas’, instead of using it for grinding wheat and grain, with the remarkable ‘Beemster Polder’ as an unchanged physical representation. The nation that created the ‘Hollandse waterlinie’, to protect against foreign invasions. The nation that reversed sea to lakes and reclaimed land where possible, resulting in 'Flevoland' which transcends the total area of New York Long Island. The nation of the famous Delta-Works and the nation that helped the Americans after Catrina to design a water protection system in the Southern states of the USA. And believe it or not, this is the same nation that is already talking for decades about the concept of energy islands in front of the coast, giving away this scoop to its neighbours. Why is it so important, such an energy island? And what is it for god’s sake? The Netherlands strives to become more energy neutral and less depending on fossil fuels, which usually have to be imported from questionable regimes. Most commonly deployed solutions are the usage of solar and wind energy. The main problem with these two energy sources is that they are not constant. They generate a lot of energy during certain parts of the day, but less during others. Currently, there are no efficient ways of saving this energy for prolonged periods. Energy islands, are basically donut-shaped islands with a lake in the middle. During periods of high energy generation, the oversupply of energy is used to pump the water out of the lake, into the sea. During moments of undersupply of generation of energy, water from the sea floods back into the lake, passing a system of tubes and turbines and resulting in clean energy (Swah, 2013). It is true that the profit and loss of this system is difficult to calculate, as it is highly depending on prices of fossil fuels. The lower the prices of fossil fuels, the more difficult it becomes to compete with these sources of energy and the more likely it becomes that such islands will be economically infeasible on the short term. This is usually the counterargument by criticists. In my opinion, these projects require very long-term visions however. It is fair to say, that fossil fuels will keep increasing over the long run due to a rising world population and the rise of developing countries. Furthermore, the experience Dutch firms acquire during the construction and operation cycle, can be employed in international tenders for similar projects. This can have a very positive effect to the Dutch economy. And last but not least, it can create a lot of job opportunities on the short term, adhering to the Keynesian philosophy that one should invest in large (infrastructure) projects during difficult economic times. In the Netherlands it is common to joke about the Belgians not being very bright, but it seems that they understand it better after all. Swah (2013). "Windenergie opslaan in een kunstmatig eiland." Retrieved 01-12-2014, 2014, from http://wetenschap.infonu.nl/techniek/109442-windenergie-opslaan-in-een-kunstmatig-eiland.html. Westra, C. (2007). "Een energie-eiland voor de kust van Nederland." Retrieved 01-12-2014, 2014, from http://www.we-at-sea.org/een-energie-eiland-voor-de-kust-van-nederland/. Let's give ourselves some credit for our behaviour in student housing! As large-scale consumers of second hand furniture and electronics we not only save money, we also give products a second life. Next weekend I'm moving out of my current apartment. And since I'm going from 55 to 13m2 I have a lot of stuff to get rid of. My phone and facebook account have been occupied by mostly students who are interested in my old couch, wardrobe or refrigerator. Since I knew I would only be the owner of this apartment for a year, these were all bought second hand last year and in this way I can pass them on to their next owner. It's a funny business, especially for the free stuff, lots of people react and I have the power to pick who I want to make happy. Mostly I just pick the first person to react, but sometimes it's hard to resist a single mother. And then follows this short encounter, someone comes to pick up the furniture I've spend my student years surrounded by. It comforts me to know that they won't end up in the trash (immediately), that someone like me last year, has been able to furniture their house cheaply and on top of that, maybe, a tree can be saved since no new furniture has to be produced. A great example of win-win, and the new shoes I'll able to buy next week (plenty of room for that on 13m2) are a nice bonus! Biomimicry is a powerful tool that is generating a new way of thinking around the world; thus, cre­ating sustainable solutions and harmonizing with nature. Therefore, it is important to amalgamate biomimicry principles, architectural and structural require­ments and productions techniques to create ef­ficient successful engineering materials, designs and processes. However, it is important to be aware that learning about how nature works and all its processes is not easy; therefore, some mistakes and misconceptions are going to be committed before achieving this desired goal, but it is important to keep in growing the scope of our knowledge. For instance, the biologist Andrew Parker has been studying in detail the Namibian fog-basking beetle to pro­duce a type of plastic with the same combina­tion of hydrophilic and hydrophobic surfaces to enhance condensation. (Pawlyn, 2011). Charlie Panton based on the design of Andrew Parker designed the Seawater Greenhouse. To generate this water harvesting and thermal-control systems a number of polythene pipes are used to form a condensation surface. Then, droplets of water are formed within the pipes and run down into a tank; thus, generating irrigation water and an efficient level of moisture and temperature for the crops. As the beetle har­vest water, the building mimics the same concept and evaporation of water is increased to create higher humidity and a large area is generated for condensation. Therefore, saline water is trans­formed in fresh water by using the sun, the wind and a small amount of pumping energy. (Pawlyn, 2011)(seawatergreenhouse, 2010). It is important to define some important principles that were used within the development of the seawater greenhouse project. First, nature is a wise sourcebook, but it is important to under­stand its principles. Therefore, architects and en­gineers have to work together with people from different fields such as biologists, sociologist, chemist, etc. to succeed. Second, nature is wise, but is difficult to understand all these processes and concepts; thus, it is important to keep on re­searching within this field. One commonly heard complaint against wind turbines is that they leave an ugly scar on the landscape. Most people don't seem to want to look at the horizon and see some high white tower which harnesses the wind for renewable energy. While I can see why people don't want to live next to a wind farm, mostly the complaints are quite exorbitant in my opinion. Complaining is part of most humans, but sometimes I feel some people just don't want to see anything of the production process, since it isn't how they idealize it despite it is all necessary to let them maintain their (luxury) way of life. I think this is mainly a first world problem. People have it good in most developed counties. So good that they don't have to complain about anything significant. Thus they begin to complain about insignificant stuff like celebrities, package delivery time, fashion, internet connection or visible wind turbines. Most are also known as first world problems. Some are just really insignificant, other just plain hypocrite. Regarding the friction toward wind energy, there are two comics which, in my opinion, give a humoristic visualization about these problems. Next to these comics, there is a very handy info graphic, showing the dangers of the Wind energy Syndrome. This gives for me a certain parody on how easy people blame little aches on everything but themselves, or something they own of do and most of all how this is enlarged in the media (for the thrill). Moreover, I started wondering about their concept of sustainable cities, so I continued on researching: The Earth Hour City Challenge is referenced as a leading movement encouraging cities to address climate change issues through the implementation of community-driven initiatives related to renewable energy and clean technologies. The program recognizes the need to accelerate action and to demonstrate that changes can be made when there is enough commitment; and its interest is to promote sustainable development as the norm for policy making in cities. Over 160 cities from 14 countries joined this years’ competition, duplicating the number compared with last years’ one (Global WWF, 2014b). A lot of questions were raised during my research, the main ones were related to the definition of sustainable cities and the appropriateness of giving a global award without clarifying and recognizing the different types of challenges cities face in order to fulfill sustainable development goals. Earth Hour City Challenge awards are related to decreasing CO2 emissions of urban centers through energy transition, but I consider that a city should look for fulfilling a wider range of criteria to be considered sustainable. The “problem” can be related, again, to the level of abstraction of the definition of sustainability given by the Brundtland Commission: meeting the needs of the present without compromising the ability of future generations to meet their own needs. Consequently, a wide range of economic, demographic, institutional, social, environmental and cultural goals can be claimed as supporting cities transition towards sustainability even when they can have conflictive outcomes when looking to the global picture. For example, when the waste generation and resource use in one city is decreased by importing goods which production would increase both, this action just translates the environmental issues to somewhere else and do not address the root of the problem: the sustainable side of consumption. Furthermore, there is another conflicting aspect to take into consideration: the inherent difference in societal needs among cities according to their level of development, and the environmental footprint they are generating. Thus, it would be difficult to assess cities on level of ambition and impact without looking carefully to their local context, external impact and limitations. Moreover, there is a wide range of problems that can be addressed when referring to sustainable development and the restraints in data collection make difficult to perform useful comparisons. In this context, an advantage of events like the Earth Hour City Challenge can be easily identified: it pushes cities toward measuring their impact, thus increasing the quantity and quality of the data to be analyzed. On the other hand, Satterthwaite (1997) addressed the importance of measuring the transfer of environmental costs to both: the inhabitants and ecosystems surrounding the city, and to people and ecosystems beyond the city-region, including their transfer into the future. Afterwards, he referred to the limitations of city-level sustainability plans regarding the transfer of environmental costs as local authorities have a restricted influence to the area of their city. At this point, it is necessary to address the importance of cooperation at regional, national and international level to achieve sustainable development goals. However, this coordination with other cities or regions receiving the impact is not easy, especially if sustainability does not have the same priority level on their agendas. In conclusion, after this line of reflection, certain points became clear regarding sustainable cities awards. Firstly, the use of the word sustainable on them needs to be justified or related to the specific challenge cities are trying to overcome to fulfill one of the many sustainability goals they have (the reason they are awarded for). Secondly, these events promote data gathering among cities, key point to perform useful analysis to improve global overall knowledge about sustainability challenges in cities. Thirdly, these events do promote a sense of urgency and achievement, but we need to wonder towards what. It can be considered true that local contributions would lead to the global achievement of sustainability goals; however, if from the beginning of the process the urge for cooperation and the awareness of possible environmental costs’ transfer is not on top of the discussion, much damage can be done to the collective construction of sustainable development. Finally, I think the global focus needs to change from sustainable cities to sustainable urban societies in order to achieve global sustainable development goals. This means focusing challenges towards generating policies and technologies capable to influence human behaviors to redefine how city consumers, companies and governments contribute to sustainable development. The topic of my column for this week is maybe not directly related to Texel but a somewhat more personal story.Three years ago I made a trip to Cape Town, South-Africa, to visit a friend who was at that time doing an internship for a NGO in the townships of Cape Town. We went to visit her office in Khayelitsha, which is the largest of the townships in the area. This was a very impressing, but also quite unexpected experience. I had seen pictures of townships and the poor conditions in these areas on television, but seeing it with your own eyes is even worse. The houses are made of corrugated iron and packed really close together. Everywhere you look is garbage or rubble. But there are also great differences to be noted. We for instance drove past a shack with a small car park and a garage (also made of corrugated iron). In the car park a few old and small trailers were parked, and a sign told us this man ran a trailer rental company. The owner, however, seemed to be making a good living out of this company because the half opened door of the shack/garage revealed a brand new white BMW M3. When I asked my friend how this could be, she told me that even though people start to earn some money, they do not want to move. The sense of community is so strong that they rather live in these conditions and spent their money on cars, or as she told us as well, on flatscreen TV’s. This also explained the ridiculous amount of bundles of electricity cables that hung over the houses. My friend told us that this causes a great fire hazard, and that fires from short circuit were very common. Last fall my friend graduated and started working for the same NGO and has returned to Cape Town. Last weekend we called via Skype and I told her about this course and asked if she has noticed some sustainable transitions in South-Africa. She recalled our visit from three years ago and said that people have started to see the risks of these huge amount of cables and have started to install solar panels on top of their shacks. According to her, people have realised that it’s more safe to use solar panels than to tap the electricity wires, so they have started buying solar panels. After the call I started thinking about this and realised it really connects to Gertjan de Werk’s lecture last week. He quickly mentioned that in some areas, the entire wired network will be skipped, and people will start to generate their own electricity. I also thought that this was a great example of a socio-technical change that has a bottom up approach. When I google for solar panels and townships, I get a lot of results on organisations trying to stimulate these ideas and entrepreneurs that try to fill this market gap. I could speculate that a few important people inside the townships (like the owner of the trailer rental perhaps) started buying solar panels and in that way influenced the entire community. It is a long journey back to Texel from Cape Town, but I really think there are lessons to be learned from this case. If a demand is present and a few influential people start using a sustainable alternative, this solution has a good chance of succeeding and can be injected in the society, bottom-up. In this column I explain why I believe social media can function as an effective intermediary to start an sustainable movement. A few weeks ago I saw a short movie clip on TED of Derek Silvers called ‘how to start a movement’. In a funny clip, Derek shows that it is not the leader that is the most important but the first follower. As Derek says, ‘The first follower is what transforms a lone nut into a leader’. A movement must therefore be public, so new followers can emulate the other followers and not the leader. Once it is less risky to follow, because you will not stand out anymore, more people will follow because they prefer to stick with the crowd. Derek ends with saying people should have the courage to follow and show others how to follow. The first follower is a form of leadership itself. What I think is remarkable on the clip is that the leader makes a silly movement, which is easy to copy by the first follower who subsequently calls in his friends. I believe this is also the success factor of why social media is effective in creating a movement. The ‘like’ button is an easy step with a low threshold. When you give a facebook post the first like, it does not even appear on the homepage, until it has reached enough likes. For your name to be visible, people have to click on the number of likes. Besides that it is easy, it is also not risky. But although the like button is easy and risky, it forms a powerful tool. It is a quick indication if something is worth your time. Since social media is connected to your own friends’ network, which contains people you trust and people who share the same interest, you are curious when someone has liked something. Since it is in the same network it is also more likely someone will like it. The Facebook post hops from network to network and cleverly makes use of existing networks to attract new followers. Once there are many likes, the ‘like’ buttons represent the crowd. It makes the crowd visible. This gives the opportunity to gain interest from people who may not be interested in the beginning, making you think ‘If it as so many likes, it must be good. I am going to watch it’. What can we learn from this for sustainable innovation? Based on the given examples, I believe sustainable innovation should be comprehensible for everyone to start with. How can you follow something you do not understand? The reports of IPCC on climate change are interesting, but create a border because of all the jargon used in the papers, which is often the case for scientific papers. As the article of Hargreaves about Grassroots innovation states, intermediaries are important for brokering and managing partnerships between local community projects and other actors from outside the community. Maybe we need intermediaries who bridge the gap between scientific articles to citizens? I believe we need intermediaries who function as interpreters to translate the language of scientist to language of the ‘average’ citizens. Who explain how climate change affects us as individuals, who make climate change personal and create self-interest to behave more sustainable. For example, CO2 emission causes rising temperatures. These rising temperatures can destroy harvest near the equator because of drought, putting poor farmer communities at risk. This seems far away for western countries, but this actually influences food prices. When food becomes twice as expensive, CO2 emission suddenly becomes a personal treat. Self-interest is the strongest motivation as explained in ‘tragedy of the commons’, we should make use of this to stimulate sustainable innovation. The second thing we can learn of the examples is that you have to have first followers. Why not ask help from your friends and others in your existing network, where the threshold to start following is lower? Why create a new website with a separate community, when you can use social media which has a low threshold to join, low risk and has already proven itself by hopping from network to network expanding your reach? The Phoneblocks project of Dave Hakkens, already proved that this concept works to get the big companies on board as well. In this sense, I believe that social media is one of the most effective intermediaries to connect communities. The geography of an island is very determining for the community living on it. Island communities are generally very tight, due to the separation from the mainland. On the island of Texel people feel having a different identity than the people from the mainland. This community sense can be advantageous with implementing new sustainable technologies. An important incentive for people to become sustainable is the effective return of their investments, environmentally and financially. A small and tight community can easily mobilise itself to invest in larger projects. An example can be found in Samsø. By gathering ideological and financial capital, people can get as much power as governments and investment banks. Small communities such as those on islands can be the protagonists in becoming sustainable and in bringing power back to the people at the same time. The ability of self control and other rewards earned by good policy goes directly back to the community. I think everybody would want this, but how can this be realised with a sustainable result? During the game ‘Harvest’ I saw that it is difficult to maintain, as a community, the balance between the common good and personal gain. In a horizontal power structure, which was the case during the game, you see that it is not always working. There is a need for a centralized regulation that requires commitment of all parties. If that is not present, the entire system is heavily dependent on trust. My question is: how this can be organised? How can you improve trust within a community and how do you make sure that people keep the common good in mind? Is it necessary to go from an ‘informal’, trust based system to a ‘formal’, centrally regulated system? I do not have the answer to that. But I think that sustainable transformation is easily to be realised in a trust based society when the individual gain is also contributing to the common good. The system is highly dependent on trust if individual gain and the common good are not the same. Central regulation becomes necessary if trust is low and when common good and individual gains are opposites. But is it then better to try to increase trust, or would you rather introduce new regulations? Transitions are made by people. When I first read the sentence I thought that I had made a mistake; aren't transitions done by people? A transition doesn't seem really makeable; separating plastic waste for instance, has to be done by people and you can't make them do so. Of course, the plastic heroes campaign that stimulated the Dutch to separate their plastic and the infrastructure surrounding this separation program had to be created, but the separation itself was done by the people! But apparently I was wrong; Gertjan de Werk explains how he and his team of enthusiastic TU Delft students created this van that involves people on festivals in the sustainable transition. How does that work? It reminded me of this awesome video of the guys from the perpetual plastic project, who are apparently also part of the team of Gertjan. The video shows how plastic waste (in this case; drinking cups at a festival). In this example the actual transition is really made by people! They have to insert their empty cup into the machine that first cleans it. Afterwards, they have to shred the plastic cup which turns it into small shredded plastic. This is melted and extruded into 3D-printing filament! This 3D-printing filament can then basically be used to create everything that one can make with a 3D printer. Which 3D print design would you choose? Of course, this is a future dream, but how far away is that future? We will see! As Gertjan put it; start small, but think big. Someone who didn't entirely get the first part of that concept is Michiel Langezaal, CEO of Fastned and a Dutch entrepreneur. Fastned believes that fossil fuel driven cars are the "Discmans of the future" and will become obsolete in time. They believe that the Electric Vehicles (EVs) will take over soon. On top of this, they don't think that 'home charging' will become the standard; less than a third of the EV drivers are currently able to charge their car in a garage or on a driveway. The rest of them has to rely on an extension cable or a (city provided) charging pole. It is simply not possible to provide charging poles for tens of thousands EVs and reserving parking space for EVs also seems to be a sensitive issue in the cities. And it will be placed at 201 highway gas stations across the Netherlands (and extension plans to Germany have already been made). It is the place where you can charge your electric vehicle with 100% green energy in 15 - 30 minutes. In fact, it will be the gas station of the future - without selling gas of course. So how did this start? In december 2011, the government announced that parties could bid on the construction and operation of charging stations for EVs at the 245 highway service areas. This is interesting, because oil companies have been fighting on these spots for the sales of fuel for over decades. The permit allows the holder to open a charging station at this specific highway service area. Instead of starting small and try-out their concept on a few sites (like the competition did), Michiel Langezaal and Bart Lubbers (co-founders of Fastned) decided to bid for all 245 highway sites, which obliges them to build a charging station at these spots within 18 months. At the moment, a Fastned charging station is opening every week. In my opinion, these entrepreneurs are really making transitions. Want to know how they came this far? I can highly recommend to read the story (pdf) of Fastned which is written in a really nice and readable way! So my gut feeling was wrong in the end, people actually are making transitions happen. Whether this is in stimulating the market pull way of Gertjan de Werk or the technology push way of Fastned, it is probably the interplay of both. If other Gertjans didn't stimulate the market to buy EVs, Fastned wouldn't have a business. But Fastned will probably catalyze the outroll of EVs in the Netherlands. The interplay of both actors will hopefully make this transition happen in the end. We live in a world where we want everything. All fashion in wardrobe, all appliances in kitchen and the list goes on. Recently I was in a talk with some Dutch friends and each of them had a workshop shed at their parents place. Almost all of them wanted one such for themselves. I was utterly surprised, as in my own country (India), to own even few tools is a big deal, let alone a full-fledged workshop. It does not mean I didn’t have my hands on them; we were only able to borrow tools from the school property. So when I heard them wanting to own an entire workshop, I asked myself, why? What is the need that each person should have these enormous sheds when a community can decide to share the same resources? It is like a library, where you can share books, then why not a library of tools where one can share tools. Of course the details of who maintains it and who takes responsibility of broken equipment come into picture. But that also goes with gyms; communities share these equipments and pay a certain price for its maintenance etc. If we extend this to a broader world, many belongings that we are so attached to calling as "mine" but use maybe once a year can be shared. The reason is simple. The more we share, the less our ecological footprint will be. If we look at the data of ecological footprint of nations, it is very clear that the developing nations have a relatively lower footprint compared to the developed nations. This is definitely one of the reasons. Because of limited resources, people are forced to share commodities in developing nations. This, infact, works in natures benefit, as fewer natural resources are needed in the production of these goods to serve the same amount of population. Maybe it’s time that developed countries also start learning values of “sharing” not because they can’t afford, but because the environment cannot afford anymore! The electric cars of CAR2GO. Transition – A shift in either a mental or a physical state for a human being. Around the same period, 1970’s. The United States decided that it needs to shift its energy dependence from foreign oil to a mix of domestic energy resources. One of the reasons for failure included the large bureaucratic reorganisations within the government which focused on different issues, petroleum allocation and transition, oil price controls, conservation measures and a legislation to increase energy security. Another reason was the lack of clarity wherein the policies contradicted each other, on one hand there were subsidies for domestic oil companies and oil price controls and on the other hand increasing domestic energy supplies from all sources and developing renewable energy sources required an initial increase in energy prices. Contradictory to what the U.S expected the oil imports increased by almost 8%. The government and its way to handle the volatile nature of people during this change phase. Having an ambitious and not over – ambitious plan is crucial.
. Solomon, D., Krishna, K., 2011. The Coming Sustainable Energy Transition: History, Strategies and Outlook. There are several methods to address the issue of global climate changes. There are many parties that are concerned about the environment, and which draw measures to transfer knowledge to individuals about the climate changes. However, each party has its own way of working and a corresponding way of creating awareness. In the following paragraphs I will distinguish several approaches of creating awareness and compare their goals, the way of implementing their goals and the consequences of this particular approach. Apart from the impact of these approaches on the climate change, I am particularly interested in the effect of these approaches on the awareness of individuals concerning climate change. The first two parties try to create awareness by obtaining worldwide media attention. The first party, Greenpeace, is an example of a party that obtains media attention by performing provoking actions (non-violent) to obstruct the persons or organisation that is (according to Greenpeace) responsible for the climate crimes (Greenpeace, 2014). This can sometimes lead to major confrontations, which often lead to a lot of media attention. However, some people think that their actions are provoking, besides detractors believe that Greenpeace is creating fear instead of telling the truth about climate change (Klimaatfraude, 2014). Another way to create awareness is by publicising investigations about climate change in for example a book (like Naomi Klein) or a documentary (like Al Gore). The announcement of these mediums often occurs with great fanfare and there are shocking facts revealed. This causes some discussion but results also in the effect that most claims are contradicted. The arguments in the book and movie seem to have a double truth. According to Gerjan de Werk, sustainability gurus have the problem that they cannot permit any mistakes. When one of the claims could be refuted in a (for the audience) credible way, it diminishes the reliability of the research and it results in the opposite effect. The Dutch government tries to create environmental awareness for its citizens by educating them. Various channels (for example the Ministry of Infrastructure and Environment) and techniques (commercials, education programs, subsidies, in some cases penalties, etc.) are used to achieve this goal. However, this is often seen as a softly-softly approach, which seems not compulsory enough for the Dutchman, as the climate goals for 2020 will not be reached (Eickhout , 2014). Charity organisations recruit future members by various channels, e.g. advertisement, recruiting etc. These organisations try to create awareness via these channels towards non-members. On the other hand, members of these organisations are often updated about the organisation's accomplishments. It is not hard to create awareness to existing members as they choose to support the goal of the organisation. However, it is hard to create awareness to non-members, as the channels to reach these people seem less effective. These initiatives are described as a group of people with a common ground that are introduced into a sustainable initiative. The message is often spread through word-to-mouth and because of the fact that those people often know each other, the message is more often perceived as the truth. Today, many of these initiatives are initiated online, e.g. on Facebook. However, the rise of these small-scale initiatives consists of a combination of causes from other developments in the society, such as the economic crisis, scarcity of natural resources, debts, climate change, etc. (Reinhoudt, 2013). Therefore, the impact of this method is adequate but the success of this method depends also on the ST-system. Every environmental problem needs its own approach to succeed. In my opinion is major media attention an effective method to introduce people to new topics. However it is without obligation so they are not obliged to create awareness. The same applies to education, which is especially effective for those who are interested. Charity organisations add a lot of awareness to people who have already a kind of awareness (their members). They approach the general public in the same way as 'major media attention'. Concerning creating awareness are the small-scale initiatives that spread through word-to-mouth the most successful. However, to tackle the environmental issues, creating awareness is not sufficient, but it is a starting point. Do electric cars have the future? The electric car is gaining increased attention the last couple of years. For example: the Toyota Prius (hybrid car) can frequently be seen on the road and Tesla is fading away the bland and boring image of electric cars with its fancy designs. How new and innovative the idea of an electric car may seem, the truth differs. The first electric car was created in 1835. Fifty years later, when the French developed useful batteries, the electric car gets popular. At that time, it was expected that most means of transport would use an electric engine in the future. People saw the advantages compared with cars with combustion engines: the car shakes less, is more reliably and produces less noice and emissions. Besides, electric cars don’t have to switch gears and are faster. This changed in the beginning of the 20th century: the electric engine had to compete with the steam engine and the combustion engine. The electric car lost market because of its limited radius of action and low speed (due to the heavy accumulators). The introduction of the lithium-ion battery puts the electric car back in the spotlight in the beginning of the 21th century (ANWB). Now the electric car gets a lot of attention due to its (expected) advantages for the climate and living environment. The ambition of the kabinet-Rutte was to increase the amount of electric cars in the Netherlands to a million in 2025. In this way, the dependency on fossil fuels decreases and the Netherlands contributes to the European goals concerning the CO2-emissions caused by transport in 2050. The emissions have to decrease with 60% compared to 1990. A full switch-over to electric cars will contribute severe to this goal. However, this will be very hard to realize (PBL, Nijland, Hoen, Snellen, & Zondag, 2012). The disadvantages (limited radius of action, the price) weigh heavier than the advantages (better for climate and living environment). Electric cars get tax benefits, but still they are expensive compared to normal cars. I believe that electric cars have the future, or in other words: cars driving on fossil fuels do not have a future. Therefore the government should keep on giving tax benefits to people who drive electric. They should be an example and drive electric cars themselves. The gap in the budget caused by the tax benefits should be filled by the taxed from cars with combustion engines. The user pays princple. PBL, Nijland, H., Hoen, A., Snellen, D., & Zondag, B. (2012). Elektrisch rijden in 2050: gevolgen voor de leefomgeving. PBL, Den Haag. This week a huge storm was blowing through the Netherlands. In the fall there is quite some bad weather in the Netherlands normally. Wind blowing and a lot of rain dropping down on us. This is a lot of energy the Earths system is showing us. Thinking from a sustainable perspective, you would want to get a hold of this energy for our electricity needs. For instance the wind should drive the windmills to generate a lot of electricity. Unfortunately, it doesn't work like that. Windmills stop working above a certain wind speed, because there is a danger the blades will come down. All the rain coming down holds a lot of energy as well. You can see that when you go to a stream or river, like the Rijn. This large mass of water constantly passing through our rivers has so much kinetic energy. Again, we are not able to harvest this. The way to get energy from this could be some piëzo-electrical system, where the pressure of the water on the river bottom creates electricity. The problem with both these examples is the possibilities are there, but the technological challenges are so large that research into these technologies is very expensive. Unfortunately, these technologies will not be economically interesting until fossil fuels will become more scarce and therefore more expensive. This is the problem with most sustainability projects. The only thing we can do for now is to just enjoy the power of nature. We have got all the technical solutions to live a self-sustaining life. We are able to generate energy and warmth out of wind, sun, waves, thermal mass and much more. Many of these technical solutions are relatively affordable too, think of solar panels and wind turbines. So why are we still so depending on oil, gas and coil? Why are we not all using solar panels? Because people find wind turbines and solar panels disturbing, “visual pollution” some people call it. My first reaction will always be, please tell me how harmonious your oil refinery looks compared to a field of wind turbines. But that’s not the thing I want to talk about. In many cases I do agree that solar panels are not applied in a way that suits our buildings. They are placed in an angle on flat parts of the roof, pointing to the sun, having no connection with the architecture. There are some good appliances though, think of the solar panels integrated in the glass roof at Rotterdam Central Station. In this example the panels are integrated and part of the design, that is the way it should be. Integrated in the design process, not designing a building the way we always did it and at the and add some sustainable technology but taking it into account from the beginning. It is clearly visible that sustainable technology is still very new. For example when the engine was invented, one of the first appliances was the car. But the first cars looked like carriages with an engine instead of horses. Slowly through time designers began to understand that this new technology needs another body. So carriages began to evolve and didn’t look like the vehicles that were once pulled by horses anymore. Today’s architecture derives from the time the buildings were carried by horses (powered by electricity and gas from unsustainable sources), now we have engines (sustainable technology, that asks for another body. Architecture does not have to look like it did anymore, it should change with new technology. In my previous column, I wrote that technology by itself can never make our world sustainable, but that there has to be a social change as well. Within current companies, there is often the idea that it is very difficult or expensive to become more sustainable. Similar to small communities it is crucial to start bottom-up, instead of top-down to become successful. I heard about an interesting initiative on which I would like to elaborate. Sluisjesdijkpier in Rotterdam houses a large amount of businesses. Some of them are already becoming more sustainable by E.G. using waste to produce energy. Harbour company (Havenbedrijf) Rotterdam, Cofely, BGP ITS, IHS (Erasmus Rotterdam) and the Veldacademie have joined forces to organize an Energy and Knowledge market for the different businesses of the Sluisjesdijkpier. The goal is to join efforts, reduce energy use and the carbon footprint, and create a self-sufficient and eventually the most sustainable business park of the Netherlands. What I found interesting, is that the market will not be filled with sustainability experts, or salesmen of PV panels and such. Only companies from within this business park are invited. In this fashion, they can get to know each other and also exchange information. This includes information about sustainable solutions for their companies, which they can share with the other companies. One of the ideas is a Biomass system. Since many companies offer residual wood from their production processes, these could be used in a Biomass system to provide heating to the offices. The market is about sustainability, but even more so about joining together to come up with great sustainable solutions that aid all businesses on the Sluisjesdijkpier in Rotterdam. In the end, this will create widespread support for sustainable solutions within this businesspark.